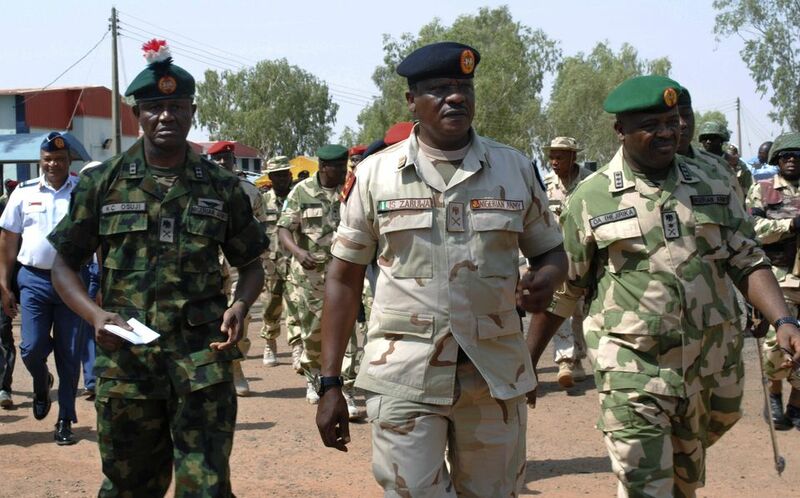 At least 105 soldiers of the 157 Battalion, including their commanding officer, are feared missing after they came under intense attack from Boko Haram insurgents at Gudunbali, Borno State, on Wednesday, military sources have told PREMIUM TIMES. According to one of our sources, the terrorists also captured a T-72 tank as well as several artillery weapons from the unit. “Gudunbali was attacked this morning and some weapons were captured from the battalion. Two officers and 105 soldiers are still missing,” our source said. “They captured a T-72 tank from the unit and some artillery weapons were also captured. The commanding Officer (CO) of the battalion is yet to be seen but no one has been confirmed dead yet,” the source added. Another source however said the T-72 tank was recovered after a prolonged fight with Boko Haram insurgents. The gunner and tank commander were injured in the process, he said. Also reportedly captured by the insurgents were eight vehicles, a truck loaded with 60,000 rounds of AA ammunition and three artillery pieces. Similarly, soldiers of the Multi-National Joint Task Force (MNJTF) stationed at Baga, Borno State also recently came under attack. The attack occurred in Geringiwa at about four kilometres to the headquarters of MNJTF, PREMIUM TIMES has also been told. According to a source, the military has been unable to completely clear the insurgents from Baga and nearby towns due to inadequate equipment. Our source explained that the equipment recently provided by the military hierarchy were inadequate and were not enough to go round to all units involved in the war against the insurgents. Boko Haram carried out a series of mass killings in Baga between January 3 and January 7, 2015, after the army headquarters there was sacked by the insurgents. Although the military later liberated the town, soldiers stationed in the area have come under constant attacks from the insurgents. Also on Sunday, Boko Haram insurgents attacked advancing soldiers about four hours drive to Damasak, in Borno state. When contacted by PREMIUM TIMES, the spokesperson for the Nigerian Army, Sani Usman, a colonel, directed enquiries on the matter to officials of 7 Division, Maiduguri. But the spokesperson of the Army’s 7 Division,Tukur Gusau, also wouldn’t comment on the matter, saying the commander of the division would hold a press conference on the issue today (Thursday) and that it was not proper for him to pre-empt his commanding officer. The attacks on the military came on the heels of the suicide attacks on Yola and Kano respectively. After a lull of several weeks, the recent spike in attacks on military and civilian targets suggests the insurgents might have regrouped after coming under heightened attacks from the Nigerian military. The Nigerian military has claimed series of victories over the militants in recent weeks. On Monday, the army claimed that it captured and destroyed a factory where the group makes rockets and Improvised Explosive Devices (IEDs).